← My only love sprung from my only hate! Posted on March 13, 2018 by equinson	• This entry was posted in Romeo and Juliet. Bookmark the permalink. As originally discussed in class, it’s clear that Romeo and Juliet are no ordinary lovers. Romeo unlike the Petrarchan lover, does not look upon Juliet from afar, writing sonnets about how he may never have her as his woman, but rather expresses his love by going up to her, and, in realizing she is no Laura, quickly changes his tone to that of a witty, flirty lover. This also shows us that Romeo is able to adapt in order to impress the one he loves. The reason he has to adapt, however, is because Juliet is no ordinary girl. Romeo has to be witty and flirty because Juliet is witty and flirty. She is a stark contrast to the stereotype of a woman at the time. We can see that their conversation in the ballroom is most likely metaphor for the path their relationship will take. It starts unfamiliar and Petrarchan, but changes to become fluid and smooth. This is how I predict their relationship as a whole to go. That would mean, that the same way they are interrupted by the maid, their relationship will be interrupted by death. This as well brought me to another thought. If the maid is the one who interrupts their conversation, will the maid play a role in their deaths? Great work! I love the comparison you made between Romeo and Juliet, and how Romeo adapts and changes to impress her. It is true that Romeo is different than the typical “Petrarchan lover,” because he actually approaches Juliet, and he knows how to communicate with her. However, I still see him as a Petrarchan lover in the first four lines. He clearly tells her that he would worship her, and that he would like a kiss. It isn’t until after Juliet’s response that he changes his tone, and be flirty and witty with her. I also really like the production you made at the end, it is very thought provoking. Great job! Nice job, Squilliam Fancyson. Interesting prediction about the maid playing a part in their deaths. I hope to find out if this is the case. I agree Tony. It seems like a bit of a long shot, but I do believe that their relationships will be exactly like this encounter. Maybe a maid won’t end it, but something definitely will. Also, great blog Will! I agree Tony. The maid seems like a bit of a long shot, but I do believe that their relationships will be exactly like this encounter. Maybe the maid won’t end it, but something definitely will. Also, great blog Will! I love your response! Great work! After reading the article, I have completely fallen in love with Juliet’s character! She is smart, and confident around a man who worships her. Shakespeare created a character who is capable of true love, and that character knows that they are worthy of receiving love. Romeo is a clear “Petrarchan lover,” based on what he says to Juliet. Even in how he describes the way Rosaline makes him feel, his world revolves around these women. He uses imagery with religious undertones, by talking about Pilgrims who worship the Holy Shrine. Juliet, however, uses witty responses. When Romeo says that his lips are pilgrims ready to worship the shrine, Juliet tells him that his “pilgrims” must slow down. That touching hands is the palmers’ kiss. Juliet does love Romeo at first sight, but she is smart enough to know that Romeo’s “lovey dovey” obsession with her is ridiculous. She will not stand there on display, and be the victim of his love. Juliet’s wants to play a role in their relationship as well, so she plays with him, basically telling him that he needs to get over himself. However, she does love him, and would like for him to kiss her. I think that she wants to know what it feels like to love someone, and have them love you back. Their relationship would have worked out without the family’s feud because of the amount of worship Romeo gives her, and the confidence Juliet has. It is a perfect blend. Romeo verbally worships her, and Juliet plays with him, while being in love with him too. Romeo and Juliet are considered two halves of a whole, and this idea is shown in the sonnet they share. Romeo begins the sonnet with a “Petrarchan style.” Then Juliet joins in, and tells him how she feels and is being the opposite of a “Petrarchan Lover.” However, it is still a love sonnet because they are both in love, and Juliet does allow Romeo to kiss her. Shakespeare gives Juliet a voice in this too, breaking the tradition of how a Petrarchan sonnet should go. Instead of man completely worshipping a women who is out of reach, two lovers have found each other, and their love is real. After reading both the article “Juliet Trumps Laura” and Act I of Romeo and Juliet, we are introduced to both Romeo and Juliet as characters. Juliet, who is a young girl, falls in love with Romeo at the masked ball that is thrown by her father. When talking to each other for the first time, both Romeo and Juliet try to almost one-up each other with their comments connecting their relationship to a religious pilgrimage. This really presents Juliet in a different light and sets her-and the rest of the play-apart from the rest. Where as women at that time were seen as maids and housekeepers, we instead see Juliet being her own person, and even challenging the man who she is taking to (that being Romeo). Shakespeare also makes an effort to set her apart from the Petrarchan love model that was popular at the time by allowing her to interact with her lover. For instance, when Romeo asks Juliet if saints and palmers have lips (in keeping with the comparison to a religious pilgrimage) she says, “Ay, pilgrim, lips that they must use in prayer.” (ll. 113, page 57 ). She manages to match him word for word, and this makes me wonder why Shakespeare chose to present them this way. I think he did so to set both Romeo and Juliet apart from the rest of the characters in the story. He chooses to highlight Juliet as smart and witty because she is the main female focus of the story, and Romeo as adoring as he has unending love for her. This is also illustrated in the passage where Juliet is frustrated because Romeo is a Montague. Romeo is also shown in a different light. While Juliet is strong, Romeo has the weakness of love towards Juliet. When talking to her, he tries every trick he can think of to keep up with her and try to kiss her. Romeo is seen as wholly love struck, willing to do anything for Juliet. To me, this foreshadows the end of the novel as each makes the ultimate sacrifice for each other-death. To sum up, I found analyzing the characters of Romeo and Juliet in their first scene together enlightening and interesting. Matt, you have a great analysation of the text and of the handout, and I think you did a really good job putting the two together. I find it interesting where you said that Romeo is portrayed as more weak with his love, while Juliet is strong with hers. Great response! We learn a lot more about Romeo, and learn about Juliet’s character in their first meeting together. At first, Romeo loved Juliet from afar, and did not want to even approach her. But, he did finally get courageous enough to get past his fears and approached her directly and assertively. This shows his ability to overcome his fears, and his characteristic of being courageous. We also learn about Juliet for the first time, and learn about her character as well. Compared to Laura, she is basically the exact opposite. Laura was a person who was untouchable, and all of her lovers were not allowed anywhere near her bubble, and were forced to love her from far. Juliet is meant to be this type of person, but instead, she isn’t. She welcomes Romeo’s direct approach to getting her love, and she seems to allow him to go further. Juliet is a welcoming and confident person, and knows that Romeo is in love with her, but doesn’t push him away. Romeo and Juliet will probably have a very pleasant and easygoing relationship. The two are clearly meant for eachother, and will not run into any problems specifically between the two of them. Their love for each other will never be broken, but their ability to have a relationship with eachother will be. This was a well written response and I enjoyed reading it and getting to learn your own perspective. Nice Job! After reading the interaction between Romeo and Juliet the article, you can some things away from it, about how the two acted with and around each other and how it eludes to how they might act in the future. As we already know from the prologue, Romeo and Juliet are star-crossed lovers, in love with each other but forbidden to be together. From this, we can take away that they will be with each other. When they are speaking together, they are able to almost bounce bath and forth with each other in a flirty and young way. One thing you can easily learn or take away from this is that they are young. Obviously we know this, but their interaction proves to us that they are still very young and slightly immature. Many women at this time, would be acting a little bit more proper and older with him than Juliet is, most of them probably wouldn’t have let him kiss them but Juliet did. They do a lot of joking with each other, which is nice but also a young way to act. Both of them are very inexperienced to this new emotion they are starting to feel and that shows. Another thing we can take away from this is that they are good for each other. I don’t know about everyone, but usually as people, we want to fall in love with someone that will work with our personality and when they tease one another back and forth you see that they have similar characteristics and would make each other happy. Shakespeare wanted to create real people that appreciated their significant other for who they were, and while doing so, he created the most epic love story of all time. We can see here, that they work well with each other and that in of itself is what Shakespeare wanted to create for playgoers and readers everywhere. Great Job, Ryan! Your thoughts were very interesting, and your analysis was terrific. I liked that you kept your blog concise but full of information. Keep up the great work! In scene v of act I, .Romeo and Juliet finally meet, and have a brief conversation. Their exquisite exchange of words allows us to better grasp their characters and their future relationship. First of all, Shakespeare is breaking the tradition of the Petrarchan lover. His story at first identifies Romeo as the Petrarchan lover, where he places the lady he desires on a pedestal. As “Juliet Trumps Laura” observes, he was infatuated with Rosaline, but she remained uncharmed. Like to Petrarch’s sonnets, Romeo was also fated to stay distant from her. Now, Romeo still puts Juliet on a pedestal, acting as if she was a saint, but this time his lady speaks back to him. Instead of refusing her lover’s advances, Juliet, as the article states, “matches him with witty comebacks and even hints that his advances are welcome.” In another words, Romeo’s lady actually feels the same love in return, which shatters that Petrarchan lover ideal. Shakespeare’s writing in this case, as we discussed in class, is certainly revolutionary. He created an entirely new type of so-called heroine in his sonnet, where the lady is less distant and more willing. In the affection between these two lovers Shakespeare chose to incorporate religion. In their repartee, Romeo’s lips are likened to two pilgrims, ready to pray to the saint, Juliet, at a holy shrine, which would be Juliet’s lips. As a result, their love may demonstrate an impression of divinity and holiness. Great job! Your blog was very clear and helped me understand what was happening. Keep up the great work! In the short article “Juliet Trumps Laura,” and Act I of Romeo and Juliet, we the readers are introduced to Romeo and Juliet. It all began when Juliet fell in love with Romeo at the masked ball that is thrown by his father. After seeing each other for the first time, Romeo and Juliet proceed to talk for the first time. While talking with one another, they try to “outduel” each other, while connecting their relationship to a religious pilgrimage. In this scene, these young people are flirting and just beginning to know each other better. They seem to have a special bond and really seem to like each other, despite never previous meeting. 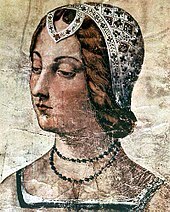 Although Juliet is young and slightly immature, she is different than the other women of that time. At that time, women at that time were seen as maids and housekeepers, however, Juliet is independent and even challenged a man when talking verbally. Shakespeare makes an effort to set her apart from the Petrarchan love model by allowing her to interact with her lover. Juliet communicates freely with Romeo while even challenging him and matching some of his words. Shakespeare chooses to portray Juliet as intelligent and witty because she is the main female focus of the story, as discussed in class. Romeo is depicted as her lover who has a very strong love for her. Romeo’s inexperience to love is shown when he is talking to Juliet and is trying every trick he knows to continue talking and try to kiss her. Romeo is blinded by love and seems to do anything for Juliet’s affection, which can be the leading force for the end of their lives. I hope to continue reading and learn more about Romeo, Juliet, and their everlasting love story. For tonight’s reading of Juliet Trumps Laura: Shakespeare and the Petrarchan Sonnet, I was a bit confused at first on what this article was conveying but I finally understood why after breaking it down. The article mentions, “Students were encouraged to suggest movements and gestures implied by the language.” After this happened, the students saw Romeo and Juliet differently. The students choose certain interactions just like how the sonnets did. In fact, the idea of choosing something becomes very popular in these sonnets. The main difference between a Petrarchan sonnet and a Shakespearean one is that in the Petrarchan sonnet, the lady doesn’t acknowledge the man. After much thought about this, I came to the question of if in a Petrarchan sonnet the lady does really notice the man but she just chooses to ignore him. Maybe it’s the choice that separates a Petrarchan sonnet from a Shakespearean one. Ladies tend to acknowledge men and they just choose to ignore them. This doesn’t mean they don’t know they are there. In the Petrarchan sonnet about Laura, Laura doesn’t interact with the one who praises her. Most people say its because she just doesn’t see him but I think it’s because she is making a choice in which she should be allowed to make. Not all women have to say yes, sometimes women choose to ignore because that’s how they think they should react like. In Romeo and Juliet, it started as a Petrarchan sonnet when Juliet was pulling back, but when she choose to interact with Romeo the whole thing changed. Just like how when the class interacted while saying the lines, they got to see how Juliet is falling in love. The class also says, “So Juliet isn’t at all like Laura.” But what if she is? What if it’s just their decisions that are different, not their situation? I’m very curious to see if my questions are valid questions that opens up other people’s eyes to see that it is the choice not the acknowledgment that changes things. Great Blog Noy! I love how you interpreted the article. After reading the article “Juliet Trumps Laura”, and thinking about Romeo and Juliet’s meeting, I have realized how important this scene is. We learn about Romeo, Juliet and even Shakespeare through this one scene. Romeo loves Juliet from the minute he sees her. Unlike the Petrarchan lover, he goes up to her and talks to her. Romeo is very flirtatious with Juliet, showing confidence in himself. It seems as if Romeo’s life revolves around women- first Rosaline and now Juliet. I wish we knew more about Romeo’s past so we could explore this idea more. While Romeo is confident in himself, Juliet seems a little more held back. As Ryan was saying in class today, Juliet is only 13 and Romeo is around 16-17. Juliet is probably scared of this sudden overcoming love she has for an older guy. I was trying to relate to this. If I all of the sudden had a 16 year old kissed me and I fell in love with him, I would be scared too. Although Juliet is scared she still hints at the fact that she does like him. In class Ms. Quinson was describing how she is kind of saying that she isn’t going to kiss him, but she isn’t going to stop him from kissing her, and I agree with that completely. Throughout Romeo and Juliet’s talking, you can see Juliet get more comfortable. The article says “… it becomes clear that Juliet’s wordplay matches Romeo’s with increasing rapidity and boldness.” I took this as Juliet getting more comfortable and Romeo picking up on it, so they both start to ‘go for it’. Within this scene we see a little bit of Petrarchan love ideas- Romeo loving Juliet from afar at first, religion being brought into the mix, and Romeo making more of an effort than Juliet. This makes sense since Petrarchan Sonnets were used as a base for many plays and writings at the time, but we see the woman talking to the man in this specific instant. This shows how brilliant Shakespeare really is. Although Shakespeare used popular ideas to write his plays, he comes up with new ways to change it that were unheard of at the time. This is why Shakespeare has become such a known name today. All in all, Act I, Scene v is one of the most important scenes so far. We learn so much about the different aspects of the play, and it was interesting and easy to follow. When Romeo and Juliet first meet, we can determine some things about who each character is and how they fit together. After reading it the first time without discussing it in class, I was confused as to what was being said. There were words like “pilgrim” and “holy shrine”. I had no idea what this had to do with Romeo trying to get Juliet to kiss him. Then I saw that they kiss and immediately thought “Well that only took Romeo 8 lines. How charming can he be?”. After discussing in class I learned what Romeo and Juliet were saying to each other and learned it was a repartee. This is a fancy word for flirting. Romeo says how his lips are like pilgrims wanting to pray to a holy shrine. Then he says “O, then, dear saint, let lips do what hands do;”. By this, he means that hands touch when they pray and he wants to “pray” with Juliet by kissing her. Romeo is successful and they kiss. At first, I was like “So what this happens all the time”. Little did I know that it really didn’t happen all the time. Most sonnets that talked of love talked of it like Francesco Petrarch. He viewed his lover, Laura, on a pedestal. Just like this, most sonnets talked about it with the women on a pedestal. She wouldn’t reciprocate the feeling of love and the man would never actually touch her. He would just go on about how much he loves her. So, this is why it was a big deal that Juliet flirted back and kissed him. From the sonnet, we learn the Romeo is charming. Also in the article, the teacher had a student that said how Romeo sounds like a dork when he is talking with Benvolio. I noticed this too but when Romeo talked to Juliet all the sudden he was like Rico Suave. He came out of this dorky shell he was in when they were together. The way he and Juliet communicated showed how they fit together. They form a sonnet while they were talking and they had a chemistry. This shows love at first sight. Shakespeare cleverly made the first words they spoke a sonnet because they are meant to be. Today we discussed Romeo and Juliet’s meeting and conversation at the Capulet party. Throughout their dialogue,we can see many things about them. For one thing, Juliet isn’t the calm and timid girl that most ladies back then would be classified as. She is bold with her actions and clever with her words. Whatever Romeo says, she quickly thinks or a good thing to say back to him to try to avoid getting involved with him. When Romeo hints about kissing her, she replies that lips should be used for something else. “Romeo: Have not saints lips, and holy palmers too? Juliet: Ay, pilgrim, lips that they must use in prayer.”(page 57, lines 112-113) Juliet is more clever than your average girl, and even though she is young, she is very good at discouraging men from kissing her, although in this case it didn’t work. It makes me wonder if she has had to do that before. Even though she is young, her mother and father want to marry her off. Her mother said to her earlier, “Lady Capulet: Well, think of marriage now. Younger than you/ Here in Verona, ladies of esteem,/ Are made already mothers.”(page 39, lines 75-77) Juliet seems to be quick with her answers to Romeo, which might mean that she has had a lot of practice. Maybe men from all over have come asking her hand in marriage. She is very beautiful, and even the famous Paris wants to marry her. Maybe she has even been kissed against her will before, but it didn’t look that way. Romeo is different, because unlike Paris, Juliet is actually in love with Romeo. Romeo looks like he knows how to deal with a girl like Juliet, which brings up the question on whether or not Romeo had had a love life before he met Juliet. It is already known that he was in love with numerous people, so did he kiss others before? If so, that would mean that his and Juliet’s relationship might not turn out well. Romeo’s love for Juliet might not be as sincere as her love for him. I will probably be proven wrong throughout the rest of the book, since the two lovers die for each other, but I was just putting the idea out there that Juliet could have been flirted with in her youth, and that Romeo’s love for Juliet might not be sincere. In the handout given, we are given a perspective on Laura, who seems to be a goddess and all of her lovers or admirers stand by the side just looking at her beauty. That is all they are. Admirers. Men who stand by the sidelines, not taking any action, which is known to be a Petrarchan love. I feel that Juliet was meant to be an example of this; however, Juliet proves herself to be a confident and welcoming person who doesn’t mind some witty and flirtatious conversation. The part I love about Juliet the most is that she is admired by Romeo and she still holds her ground. She has a mind of her own and even though she’s young, she knows what she wants and she doesn’t need to be dependent on other people to get it. I think that Shakespeare had a great respect for women. Also the fact that Romeo did love Rosaline, showed again, a Petrarchan love model. He loved her but he didn’t love Rosaline like he loves Juliet now. From the small interaction we witnessed, we see the light, and playful atmosphere they create and how happy they are with each other. I am excited to read more about how they share their love with each other. I enjoyed reading your blog. Something I especially enjoyed was how you emphasized Juliet’s intelligence and how she had a mind of her own. We can see throughout Shakespeares’ plays there are many intelligent women which leads me also to believe Shakespeare respects women. After reviewing Act 1 Scene 5 from Romeo and Juliet, we notice an extremely significant sonnet. It is love at first sight when Romeo and Juliet meet. They are in perfect harmony and even form a sonnet together. Romeo begins by stating his romantic intentions in intelligent ways, while Juliet states her goals in equally witty lines. The article we read called Juliet Trumps Laura: Shakespeare and the Petrarchan Sonnet discusses all of this but talks about more. Romeo and Juliet are following some aspects of the famous Petrarchan Lover, but they broke the most crucial aspect. The Petrarchan Sonnet is extremely old and I believe the fact of them breaking the tradition has meaning. Besides the fact Romeo and Juliet are also breaking traditions by loving each other, the Petrarchan lover never talks to his love and suffer symptoms as a result. Romeo may place Juliet on a pedestal but that isn’t stopping him from talking to her. In the end, we know both Romeo and Juliet die and that is a direct result of breaking the rules of a Petrarchan lover. If only Romeo could have loved Rosaline instead of angering both households and breaking tradition by acting out of love towards Juliet. Overall, this one sonnet show the love between Romeo and Juliet while also foreshadowing a deadly later result. Great job Devan! I like how you talked about how they broke the ideals of the traditional Petrarchan lovers. Nice work. Romeo falls in love with Juliet the second he sees her. However, Romeo is not a “Petrachan lover” with Juliet. He is flirty and approaches Juliet, instead of admiring her from the side lines. Unlike his love for Rosaline, Romeo approaches Juliet and speaks to her. Shakespeare used different tones on purpose, to emphasize the difference between Romeo’s love for Rosaline, and Romeo’s love for Juliet. When Romeo was talking about Rosaline, he was depressed, and didn’t even talk about confessing his love for her. However, with Juliet, he immediately begins flirting with her, and tells her that he wants a kiss, in the first 4 lines of the Sonnet. Juliet is much like Romeo, they are both clever, and bold. From their meeting, we can see that their relationship will grow and that they will continue to love each other, even if their families are enemies. Romeo and Juliet are not “Petrarchan lover”, they approach each other, and will not admire each other from afar. Great response! Now I have a better understanding of what is occurring in this scene of the book. After reading Act 1 of Romeo and Juliet, and Juliet Trumps Laura, we already learn about the two main characters: Romeo and Juliet (duh). Juliet is a thirteen-year-old girl who is a Capulet and Romeo and is about sixteen years old (at least I think he is). He is a Montague and falls in love with Juliet (as you all know obviously). Petrarchan sonnets are very similar to Shakespearean sonnets, however, there are many differences. One of those happens to be that Shakespeare decides to talk about love with two characters whereas Petrarchan sonnets only encompass one of the lovers. Also, Romeo and Juliet are in a festival during there first sonnet (which might mean anything important that will happen or any event about love). They talk to each other in the same location instead of praising one another from afar. However, in the Petrarchan sonnet, the man would praise the object or women from a far distance which is different. Pretty much, Shakespeare stole Petrarchan’s idea and added his own twist to the scenario. After reading this article, I am thinking about Romeo and Juliet’s first meeting so much deeper than I was before! I have so many things to say. I love how this teacher compared the way Romeo speaks about Rosaline to how he speaks about Juliet. “Arturo said that Romeo, when he was talking to Benvolio about Rosaline, sounded like a dork, and I said that this was part of Shakespeare’s strategy – he sets you up for the way Romeo’s language changes after he meets Juliet.” I think it is interesting that although Romeo talked so much about Rosaline, we really all didn’t really pay much attention to her, or at least I didn’t. She is kind of seen as this goddess who is hurting Romeo by not loving him back. If that doesn’t scream “unhealthy relationship” to you I don’t know what does. Romeo to me seemed like this weak teenager who can’t get over a broken heart. However, when he talks to Juliet, he is witty and charming. The best part is, she plays with him, and is seen as more human than some holy shrine or lady upon a pedestal. When talking about Juliet’s reaction, I wanted to point out that her mother and father had been talking about marriage before, it was like regular conversation in their house. I feel like many people would be confused about how she let a strange boy kiss her, but this is honestly what she was waiting for! I think Juliet was open to marriage, she just wanted to find the right person. Romeo and Juliet are perfect, they play with each other and are both intelligent people. I love Juliet because she wants to find love, but she won’t just have a random man kiss her, she wants to communicate with him and speak her mind. “Juliet is no Petrarchan lady. She does not stay on that pedestal for a heartbeat.” I think the way they communicate is so different than how any other characters had done in past scenes. They used imagery and playful banter, and I understand why this sonnet is so famous. I am excited to read more scenes with the two of them and analyze the way they speak. Romeo and Juliet’s first encounter shows us plenty about their personalities and even more about their future. For starters, we know quickly that Romeo is a very confident man despite his heavy heart that would lead us to believe he is very cautious when it comes to relationships. Rather than being the typical Petrarchan lover, he approaches Juliet confidently and takes his shots with her. Their conversation starts with Romeo taking her by the hand and giving his speech about how if he disrespects her, let him make up for it with a kiss. This conversation appears to start off cold, with Juliet showing little interest. In class, when Ms. Quinson and Mr. Enright acted out the scene, it greatly helped me understand how the conversation was going. Juliet uses her witty-flirting personality to counter Romeo whenever he attempts to justify him kissing her. They both have a similar personality and this allows Romeo to approach Juliet confidently, while also making Juliet feel comfortable. This begins the making of their relationship that appears perfect, until they learn that they are from different households. Interestingly, Juliet states that it is too late to take back what she has done with Romeo, and instead appears to decide to stick with him as her lover. This shows that both of them, while young, are also a bit foolish. Not only have they just met, but they are also from families that loathe each other equally. If they know that their love is destined to be tragedy, and they also barely know each other, how can both of them decide that they are meant to be? All evidence would convey that they are never supposed to be together, but instead they try anyway. In act i scene v, Romeo and Juliet finally meet. As we know from the prologue, and the play sof far, they are from two enemy families, they will fall in love, and then each commit suicide. Although this is very tragic, and that will be something very interesting to discuss in the future, right now we are focusing on mainly act I scene v, what it teaches us, and how it is so important. During the ball, Romeo goes up to Juliet, who he is seeino for the first time even though we thought he was constantly talking about her it was someone else. He tells her how beautiful she is and that he wishes to love her. Thus shows just how arrogant Romeo is. Althoughe this very well may be true love at first sight he is still bow completely forgetting about the other girl he claimed to be true love. The main difference between the two women that Romeo is supposedly in love with is how he loves them. His first lover, that we know of, denies him to be able to love him. Yet he still believes that he can, but dares not interfere with her life. This is very much a Petrarchan view on love. Romeo is in love with a girl that will not love him back, and yet he does not care and still claims his love from afar. But with Juliet, Romeo walks right up and gets very intimate immediately, his first words are about how beautiful she is, and that he wants to love her and kiss her. This is very different from the Petrarchan view of love. Instead of worshipping the girl and staying away, Romeo goes uo, confesses his live, and asks for herself in return. Thankfully it is given for he would have been crushed to be denied once more. Romeo and Juliet then proceed to talk, and at first it is a bit odd. It isn’t a very comfortable talk for they have just met, ambit they hey soon get they hero know each other better, and start to talk more evenly and fluently. But they are interrupted by the made, and the discussion ends. I was already theyheyohink about this when I read the article and when we first read scene v, but seeing someone else right are boutique it solidified my idea that this is could be a foreshadowing of their love in the future. It will start out jagged and rough, but they will soon decide that this is true love and that they will love eachother no matter what is going on around them that will stop them. And then their love will be abruptly interrupted by death. William said that he thinks that the maid may have something to do with their deaths, and I did not think of that. It seems intersting and we will find out at the end, I am now intrigued. As we all know, the moment where these two “star-crossed lovers” meet is a very important moment. At that moment, Juliet has fallen in love with the enemy. This occurs within the charms of the two lovers. We finally see the other side of Romeo. He is not gloomy, nor does he dislike love, but he embraces love at that moment. He shows that, he is, what we would call it, a player. He would fall in love with a girl, and gets over it with a woman he thinks of as more beautiful. Since Juliet was 13, and Romeo is very charming and handsome, she fell to his charms easily. Juliet was like several 13 year old girls in the 21st century, as she is very dramatic, saying that if Romeo was married, “My grave is like to be my wedding bed.”(I,v,149) This is really the first time we are able to see her personality. You can tell that she is also a lover, as she handled Romeo smoothly, even within her love blooming. These two young folks were inexperienced lovers, and fell in a relationship that was not meant to be. Romeo and Juliet’s initial interactions with one another we’re revolutionary for the time. Instead of Romeos typical Petrachan way of loving only from afar, he takes the chance to approach and interact with the woman he adores. The simple act of going to say something to Juliet further displays how different she is from those Romeo has loved before and this clearly won’t be one of Romeo’s ordinary love affairs. Juliet to Romeo’s engaged and entertains Romeo with witty banter. Through their back and forth, their love becomes two sided as opposed to the Petrach sonnet. In Act 1 Scene 5, Romeo and Juliet finally meet, and in a way that was very different from common love models seen at the time. A Petrarchan notion was the more common one, where the lovers’ love for a beautiful woman is not returned and he suffers from it, but continues to love her from afar. However, when Romeo sees Juliet at the party, it’s basically love at first sight, but he goes right up to her and starts talking about how beautiful she is and how he would like to love her and kiss her. This is kind of refreshing and creepy at the same time, in my opinion. It would be a lot easier in pretty much everything if people were just really honest and straightforward. However, proclaiming your love and telling someone that you want to kiss them when you have literally just met them, that would be kind of creepy in today’s world. As they start talking, it is clear to see that Juliet can definitely hold her own when they share a witty banter. As stated by the article, “Juliet is no Petrarchan lady. She does not stay on that pedestal for a heartbeat. Romeo leads off with four lines in conventional Petrarchan language… But Juliet, far from remaining passive, matches him with witty comebacks and even hints that his advances are welcome.” It is strange to see how quickly Romeo forgets about his supposed love for Rosaline and moves onto Juliet right after he sees her. I think that today, someone would describe that behavior as being very “fake.” He was saying how he was really in love with Rosaline and moping about it, but just like that he he falls in love with Juliet. However, there is a difference between his love for the two of them, as it is more of a Petrarchan love for Rosaline opposed to being straightforward with Juliet. I think this was done to emphasize how much he really does love Juliet, and how Rosaline was more of a crush than anything. I wonder though if a situation arose where another beautiful woman came around, and Romeo would just switch to her or stick with Juliet? If he did it once, what’s stopping him from doing it again? After reading the article my whole insight on Romeo and Juliet’s relationship has changed. There are clearly many similarities in their relationship compared to one of a Petrarchan relationship. In the absence that Romeo is basically worshipping his love and comparing her to holy objects and people such as a “holy shrine” and calling Juliet a “saint” However this love adds a twist that would seem unnatural in a Petrarchan love story. This twist is that Juliet actually talks back and has a meaningful conversation with Romeo. Unlike Laura who was worshipped from afar. It is almost as if Juliet is debating back at Romeo and always countering his compliments in a whimsical and flirty way. This also can show the true nature of Juliet who is clearly a girl ahead of her time. She is shown as a smart heroine figure in this play so far which is clearly not common. Usually woman wouldn’t me compared to much and would have very little choices. Often ending up as some kind of house wife or maid. Juliet isn’t like that. She can do things and talk for herself. This is probably one of the reasons Romeo has fallen in love with her mostly because she always challenges and one ups Romeo in a way. I am really intrigued to see how Romeo and Juliet’s relationship goes on from here. Romeo and Juliet’s love is one that as unconventional at the time. The Petrarchan lover was still used as a model for many sonnets. Shakespeare introduced a type of love that was not really seen before in these sonnets and plays. It revolutionized how we view love in a staged scene. The way Shakespeare wrote them is also important. Petrarch only wrote of himself thinking about the woman he oh-so-loved and only saw once. Here, Shakespeare wrote Romeo and Juliet in this sonnet together, their lines speaking to each other making up the sonnet, as if one could not do without the other. That signifies a special relationship between Romeo and Juliet, that Romeo could not do without Juliet, and vice versa. This new type of scheme that was introduced into the world now is one of the more common ways people see love. When in fact, originally, it was not so. As you can see, Juliet has a personality and is spoken to, but Laura is just worshipped and her name was not even mentioned in the sonnet that we read in class. Therefore, Juliet is one of the most important characters of this play. In our reading of Romeo and Juliet, we come across this sonnet. Most of the lines in this play take on the form of iambic pentameter, but when the lines are organized together as a sonnet, consisting of 10 lines divided in 2 groups of 4 and one couplet of 2 at the end, we know Shakespeare is emphasising this dialogue’s importance. In this particular sonnet, Romeo and Juliet are both talking to one another for the first time. We get a very vivid indirect characterization of their relationship. We see Romeo, similarly to the Petrarchan lover, worshipping Juliet as an untouchable shrine if worship. Unlike the Petrarchan lover, however, Romeo states this directly to Juliet, and actively tries to express his feelings to her. What’s more I interesting is Juliet’s response, though. We know that Juliet is very reluctant to engage in this love, since she knows that Romeo is from the sworn enemies of her family. But despite this, she talks to him and accepts this love more or less. This characterizes the forceful and demanding nature of this love and maybe even Pam. The future of this relationship will be characterized by Juliet’s inner conflict and Romeo’s utilization of Juliet. After reading the article, we can clearly see that there is a huge difference between the Petrarchan love (Laura), in this case Rosaline, and Juliet. Unlike Rosaline, Juliet isn’t just there for Romeo to admire. Juliet is Romeo’s equal, flirting with him the same way he does with her, and also suggesting she feels the same way he does. She never once even pretended to be above him, just as some object for him to admire. A perfect example of that kind of person would be Estella, from Great Expectations. To be fair, though, Rosaline didn’t even know how he felt about her; he was just infatuated. However, around Juliet, he became a very different person. He acted more natural around her, while expressing interest in her at the same time (in other words, flirting well). This develops Romeo’s personality as a clever, flexible person (flexible because he is able to adjust his own ideas about relationships to suit his current one with Juliet). Juliet is now shown as a strong, independent character, who, at the same time, wants to love another person. Their relationship was first going well, but they are interrupted at the party by the nurse. I believe this foreshadows how Juliet will, in the future, have to choose between Romeo and her family.